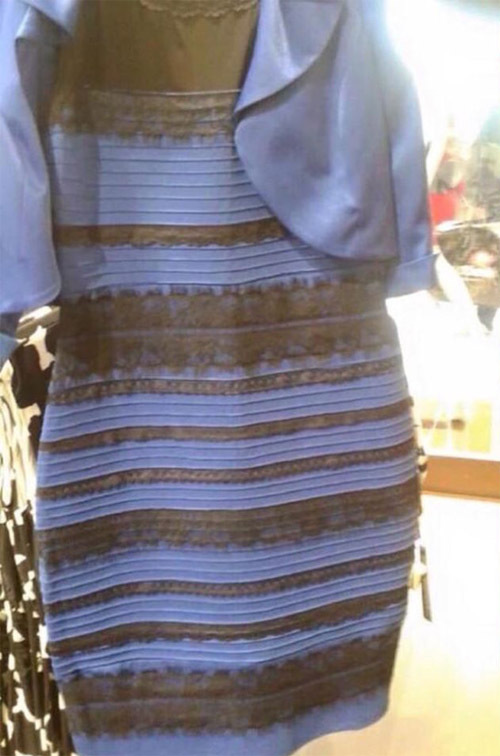 The internet has been abuzz about the mysterious dress than can be seen as either white and gold or blue and black. The REAL color of the dress is blue and black. Those of us (myself included), that see the dress as white and gold, it almost seems like we're in an alternate world - like in the Matrix. Unlike like the Matrix, the solution might not be the red pill, but the red spot. You see, some see the blue hue of the dress as its true color - blue. Some like me see the bright washed out background and conclude that the dress is under-exposed and should be brighter than it is. However without any other primary color to calibrate, our mind concludes that the dress is actually white. 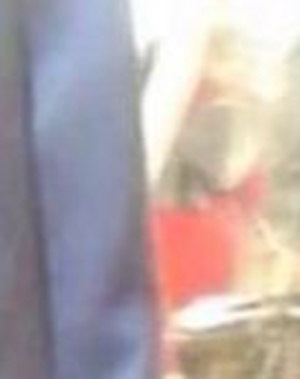 However, there actually IS a spot in the picture that is bright red that is not immediately apparent. I was able to see the dress as dark blue when focusing on that red spot. I think its because my mind is now able able to make a reference judgement that no, the foreground (dress) does not have a blue hue because its dark, it is actually blue! What do you think? Did it work for you?